Drouin Craft and Produce Market is an outdoor market featuring fresh produce, art and craft. 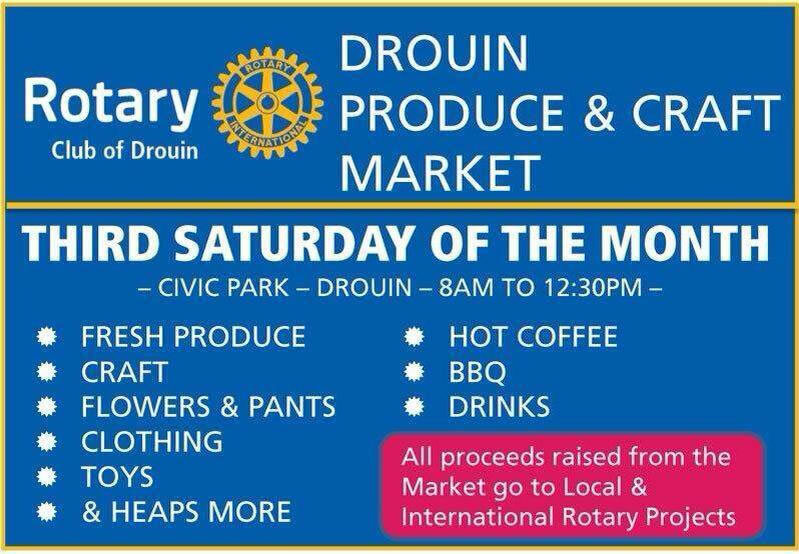 Monthly craft and produce market run by the Rotary Club of Drouin. The market in February is held on the same day as the Drouin Ficifolia Festival Party In The Park....there is SO much happening in drouin on this day..and this market will be a great way to start your day! Craft and produce market held on 3rd Saturday of every month.